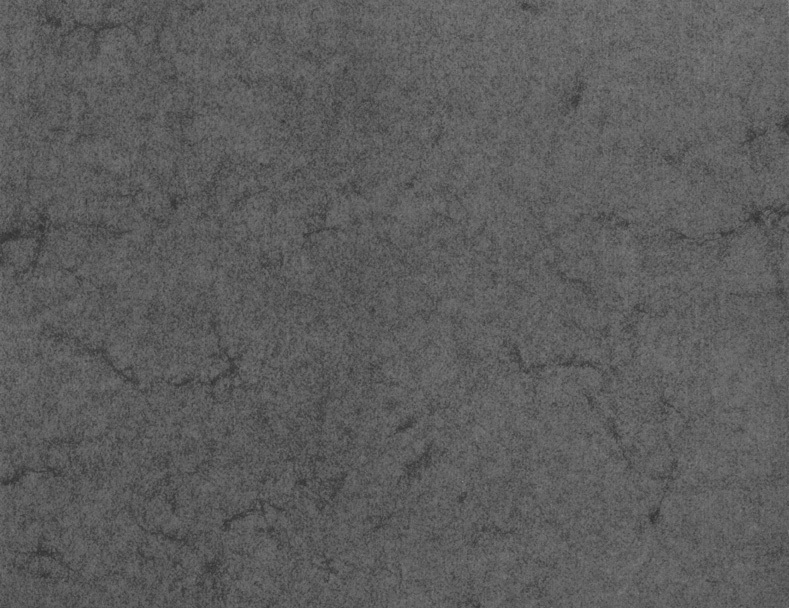 Each document contains 50 new pieces of magic armor for use with Dungeons & Dragons Third Edition rules and d20 fantasy settings. Easily modified to 3.5. All Buck-A-Batch products are three-ring binder friendly, allowing you to assemble an RPG supplement at a fraction of the cost of store bought versions. These documents are available for purchase through the links below. Here's a collection of handy items, useful for getting you out of a jam or your enemies into one. Could you use a Candle of Darkness? Screaming Coin? Monster Cube? From "one use" to fun use you'll find them all here. Each document contains 50 new magic items for use with Dungeons & Dragons Third Edition rules and d20 fantasy settings. Easily modified to 3.5. Masks have captivated us for centuries as a medium for mystic transformation, divine communication, and spiritual ritual. Here are some masks that will captivate your foes while you and the rest of your party whups up on them! 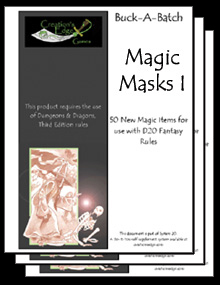 Each document contains 50 new magic masks for use with Dungeons & Dragons Third Edition rules and d20 fantasy settings. Easily modified to 3.5. Potions! Potions! Potions! You can never have enough potions. Our alchemists have whipped up a bunch of new potions for your d20 fantasy campaigns. Whoops! I guess you can have enough potions. We had a few extra and you can find them on our free page. Each document contains 50 new magic potions for use with Dungeons & Dragons Third Edition rules and d20 fantasy settings. Easily modified to 3.5. Each document contains 50 new magic rings for use with Dungeons & Dragons Third Edition rules and d20 fantasy settings. Easily modified to 3.5. Ever hear of a golem shuriken? How about a whip-wall whip? Sounds kind of nasty doesn't it? We put the arms back in harms with a bunch of new magic weapons for use with D20 rules. Fresh from the forge and ready for a fight! Each document contains 50 new magic weapons for use with Dungeons & Dragons Third Edition rules and d20 fantasy settings. Easily modified to 3.5. Your character's just like everyone else. They put their gloves on one hand at a time. The only difference is that their gloves let them shoot flaming arrows from their fingertips. Here's a collection of magic items that let your characters dress for success. Each document contains 50 new magic items to wear for use with Dungeons & Dragons Third Edition rules and d20 fantasy settings. Easily modified to 3.5.